The president of the Civil War Trust (formerly the Civil War Preservation Trust), Jim Lighthizer, recently addressed the 2011 Annual Conference in Manassas, Virginia, in which he spoke of the achievements of the Trust’s past and the challenges in the future. In the last year, the Civil War Trust has raised more than $22 million in federal and matching funds. This amount exceeded all previous years. Additionally, this past year saw victories for preserving the Wilderness battlefield against Wal-Mart development and Gettysburg fought off a casino after long fights in both causes. Lighthizer discussed the technological developments designed to bring a wider audience to the Trust and the cause of battlefield preservation. Their website has been exponentially growing in visitors in the last three years. He also discussed the new smartphone apps designed to provide virtual tours of several battlefields. Utilizing technology will be vital in educating future generations. Additionally, Lighthizer outlined two major goals of the Civil War Trust during the sesquicentennial of the war: to save an additional 20,000 acres of battlefield from development, and to become the primier Civil War education organization in the world. Preserving another 20,000 acres will concentrate “primarily but not exclusively on finishing the major battles that make up the Civil War.” Becoming the primier education organization in the world will be largely focused on technology development and content. Estimated costs for accomplishing these goals during the sesquicentennial of the war is $40 million, divided into $35 million for the land and $5 million for the educational development. The campaign was announced and outlined recently at a press conference in Gettysburg, Pennsylvania, with speakers that included James McPherson and Trace Adkins. This has been called Campaign 150, designed to coincide with the commemorations, reenactments, and exhibitions of the sesquicentennial of the war. The central theme of McPherson’s speech reflected the need to preserve individual battlefields in order to fully understand the Civil War. He pointed out that simply reading about the war is not enough. Key components of the war involving the topography and tangibility of where American and Confederate soldiers fought could not be fully understood without the historical landscape remaining in tact. McPherson cited the Civil War Trust’s recent acquisition of more land surrounding Gettysburg to be preserved for tourists to explore and learn more about the battle than they had before. He then described the difficulty to understand the battles of Nashville and Atlanta due to urban sprawl swallowing those battlefields whole. With the addition of country singer and actor, Trace Adkins, to the Civil War Trust board, the celebrity boost will help reach the $40 million goal. 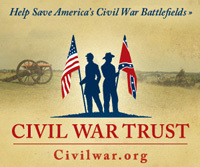 Please visit www.civilwar.org for more information on battlefield preservation and how to make a donation. 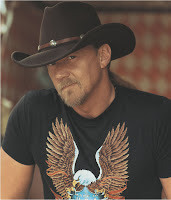 >he is not just one of the best country music singer but also a kind hearted man. He always participated in many trust campaign. God bless him.